There is always some truth to the saying that first impressions last, and this is highly important when you are doing business. In business, you can’t afford to turn people away and never come back. What you want is to pique their interest and make them loyal to you, and you can’t do that when the first thing your customers see is a dirty establishment. We have to remember that a business looks credible when they seem well-taken care of, and nothing says that your business is neglected than having a dirty environment. 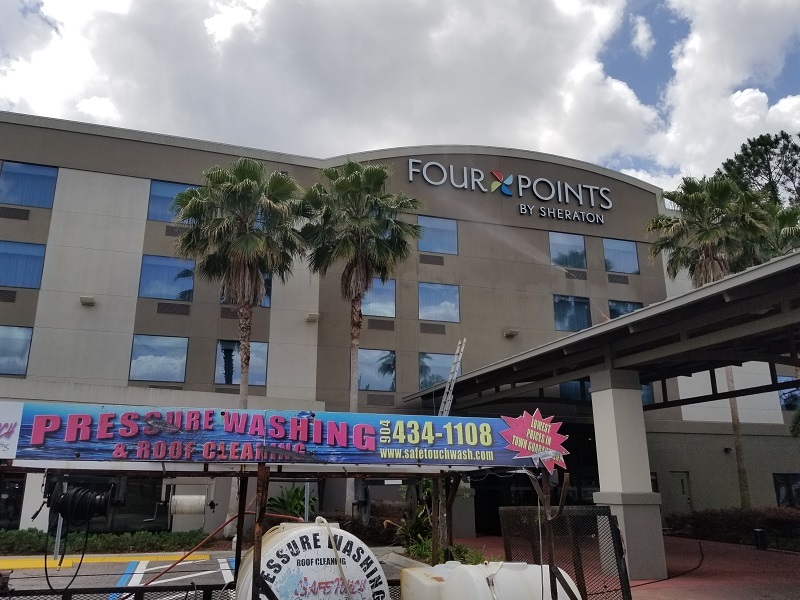 Fortunately, we can help in making your business look clean through our pressure cleaning services in the Jacksonville, Florida area. 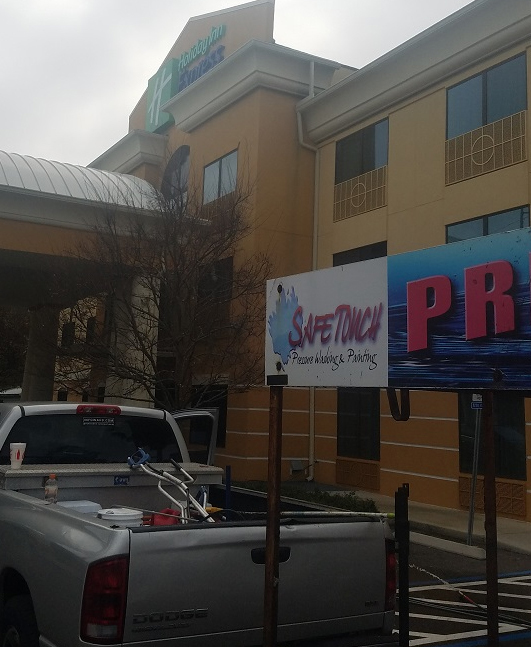 What Kind of Hotel & Apartment Pressure Washing in Jacksonville Do We Perform Exactly? A business has to stand out in all its aspects and not just the service it provides. If you have a dirty place, people won’t stay even if they think you have the best hotel. They most certainly won’t even want to live in there if you own an apartment complex. Get rid of the mildew and mold by availing our services. Is your roof discolored? Do you think that it is already full of mold after how many months or years of not cleaning it? Some people think that the discoloration is caused only by dust, but in reality, algae is probably already growing on your roof causing more damage. Don’t wait for this to happen because it could require a greater cost than just having it cleaned. As mentioned, people don’t usually like dirty places. It gives them the idea that the business is not well-managed, and that’s the last thing you want your customers to think. Imagine having to walk through a walkway that’s full of stains. You definitely need to maintain that area. The parking lot is an area where a lot of people go to. There are so many discarded items here from people’s cars. Sometimes, this is where they throw cigarette butts or even chewing gum that, as we all know, is very difficult to remove. The parking lot is definitely a priority for pressure washing.